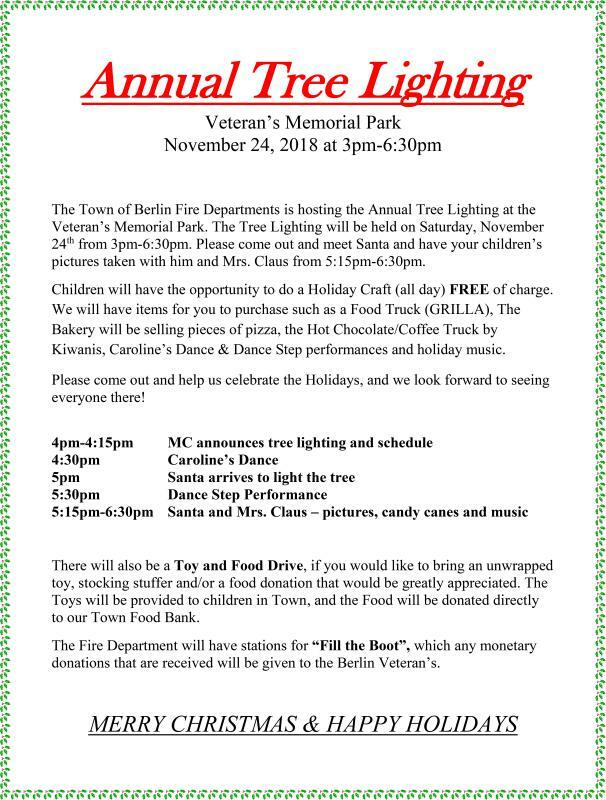 The Town of Berlin Fire Departments is hosting the Annual Tree Lighting at the Veteran’s Memorial Park. The Tree Lighting will be held on Saturday, November 24th from 3pm-6:30pm. Please come out and meet Santa and have your children’s pictures taken with him and Mrs. Claus from 5:15pm-6:30pm. For a full schedule please click on the photo.